How exciting to live life in beige. The most subversive of the colours. The fashion crowd will try and persuade you it's a boring colour. I'll tell you something, their beloved black is a boring colour. And it's not even a colour. We're beige and proud. For the best in beige knitwear action there's specific knitwear label you should seek out: William Lockie. Lockie is based—where else?—in Hawick, the knitwear capital of Scotland. 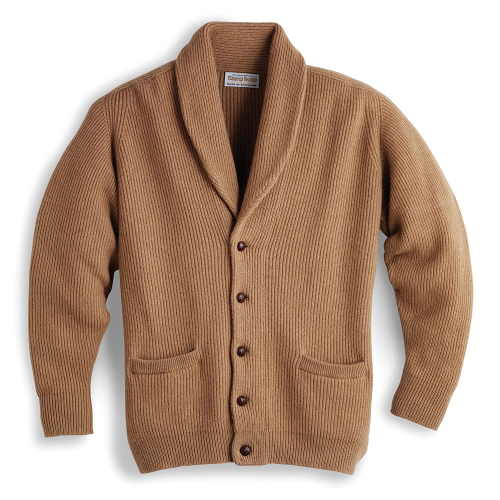 William Lockie produce some nice cashmere and camel hair numbers in beautiful beige. The Windsor Shawl Collar Jacket in 2-ply camel hair above is without doubt the epitome of a timeless classic. Camel hair tends to be left in its natural golden beige colour, with good reason, though it will accept dyeing. 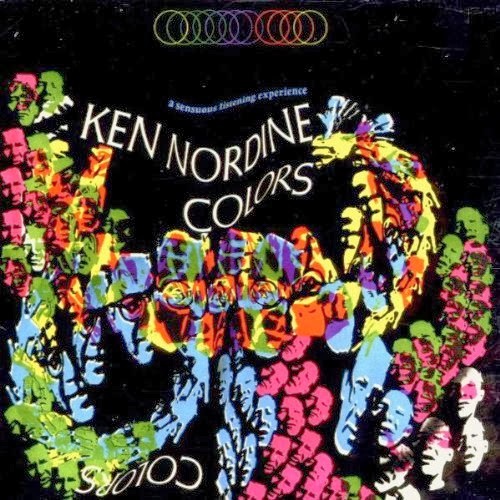 If you need convincing that beige is the bee's knees, then dear word-jazzer Ken Nordine will provide a convincing musical argument. Ken was ostensibly a voice-over artist, but he also recorded a series of albums in the 50s and 60s and beyond where he delivered free form poetry over cool jazz tacks. The albums have gained recognition for their inventiveness and Ken's subtle commentary. Ken got the measure of beige on his 1967 album Colors [Amazon]. The tracks on the album feature a different colour, Ken making word associations to apply a personality to each. With ken's charming delivery, the words will seem as deep or as silly as you are prepared to read into them.